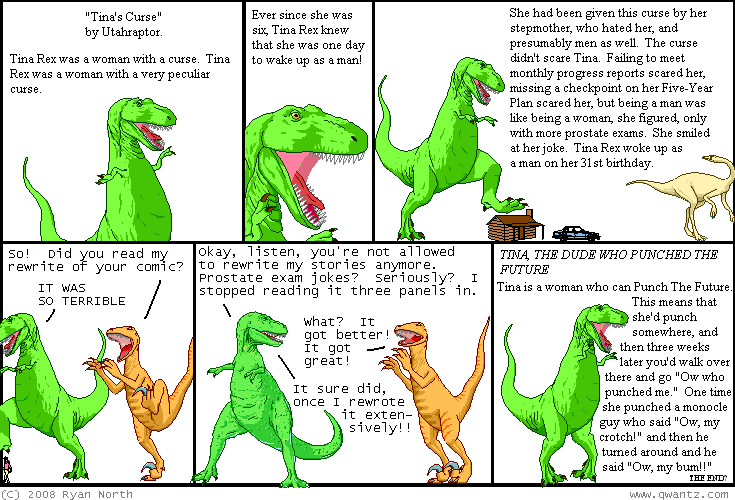 Dinosaur Comics - August 27th, 2008 - awesome fun times! –The longest word with these properties is actually "bookkeeppaaddrringo"! August 27th, 2008: Guys I made a new shirt! Actually I've been working on this for a while and it's finally done. It is a very fancy, classy and colourful shirt that is awesome AND ridiculous. Check it out! EXTREME! !